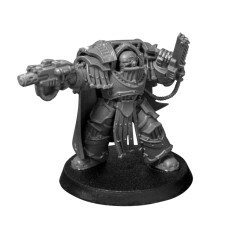 To discover in the category Betrayal at Calth, the complete figurines of the game box Betrayal at Calth - Heresy of Horus, with the Space Marines Mark IV and Cataphractii Terminators available to the unit. All bitz and miniatures from Betrayal at Calth box at BitzStore are exclusively from new boxes. The Horus Heresy - Betrayal At Calth is a standalone game box, Where compete against Space Marines Ultramarines defending their world from an invasion of the world of Calth Ultramarine by the Word Bearers. Relive this battle in a struggle for survival, against the backdrop of an emblematic conflict of the Heresy of Horus. Betrayal at Calth There are 4 products. 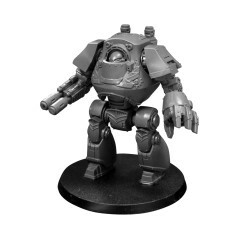 Contemptor Dreadnought The Horus Heresy Betrayal at Calth miniature. Kurtha Sedd from Word Beares The Horus Heresy Betrayal at Calth miniature. 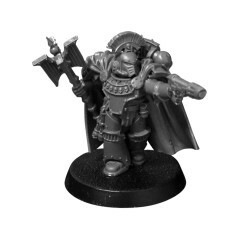 Steloc Aethon Captain The Horus Heresy Betrayal at Calth miniature. 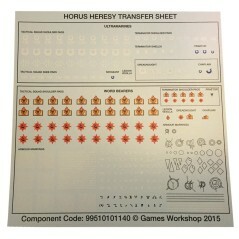 The Horus Heresy Betrayal At Calth Transfers.